Summer is here and now is the time to enjoy all of those great activities you have been looking forward to: vacationing, swimming, barbequing, hiking and cleaning your carpets! Right? No, of course not. When there are so many other fun and enjoyable activates for you and your family to engage in during the summer months, taking the time and energy to clean you carpeting does not need to be on your list. Here at OxiGreen Carpet Cleaning and Repair in Levittown, PA, we have trained and certified carpet cleaning professionals on hand to do this time consuming job for you. If your family is small and you have no smokers or pets in your home, it is adequate to clean your carpets once a year. If you have a smoker, a pet, or small children, twice a year is recommended. If you have multiple pets, a large family or more than one smoker in the home, you really should have your carpets cleaned four times a year. OxiGreen in Levittown, PA is a professional commercial and residential carpet cleaning company with many years of experience. There’s nothing we haven’t seen! OxiGreen’s experienced technicians clean your carpet using our outstanding truck-mounted equipment and 100% “green” cleaners. They will shoot hot water deep into your carpeting, dislodging the dirt, pollen, bacteria and other allergy causing debris that settles there. They will extract this debris along with about 98% of the water used in the cleaning process for fresh, clean and fast-drying carpets. No toxic-residue will ever be left behind. 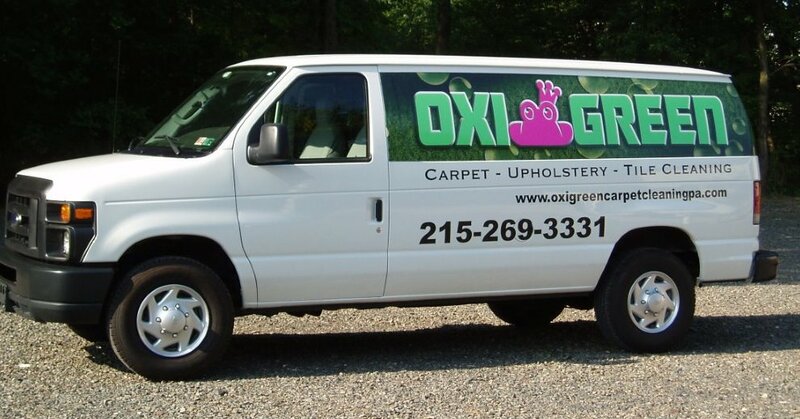 Call OxiGreen in Levittown, PA at 215-269-3331 or visit us online at http://oxigreencarpetcleaningpa.com. We are here to help you enjoy your summer by cleaning your carpets for you!